An increasing number of Americans are doing more banking at ATMs and online. Chase recently reported that more checks are being deposited through ATMs and users’ cell phones than at branches. AS more services move from branches to iPhones, the quality of banking apps available will increase exponentially as clients (both existing and potential) come to expect it. 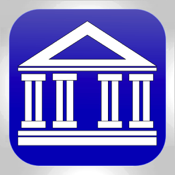 Here is our list of the best iPhone apps for banking. 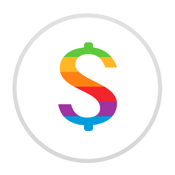 Prism Bills & Money is a great way to track your paydays, check your balances, and pay your bills from wherever you may be. 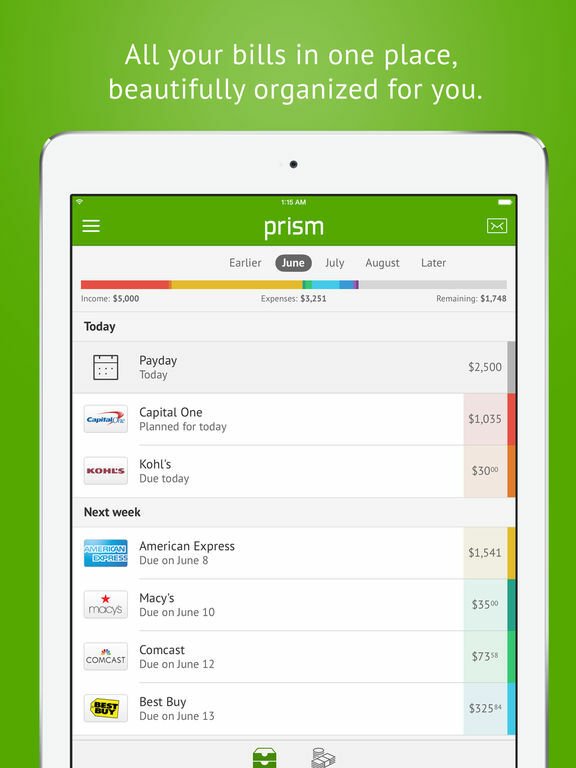 It’s totally free, and will help you replace all of your other banking apps since everything will be in one place. Just add in your bank and billers, and enter login details. You will be shown the balances and what is due; just pay your bills when you're ready. 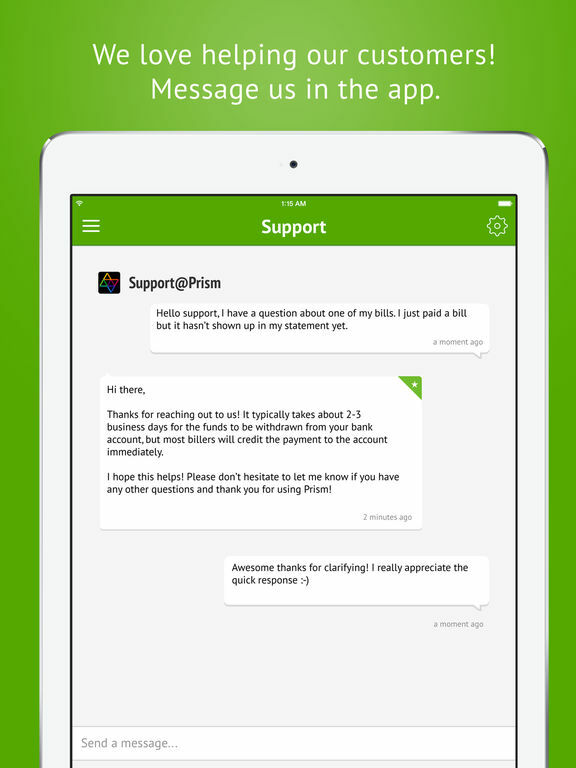 You can get notifications when bills arrive, message the support team with feedback and questions, and get reminders when bills are due. 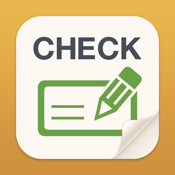 Checkbook makes it easy for you to stay on top of your credit card charges, cash transactions, and more. 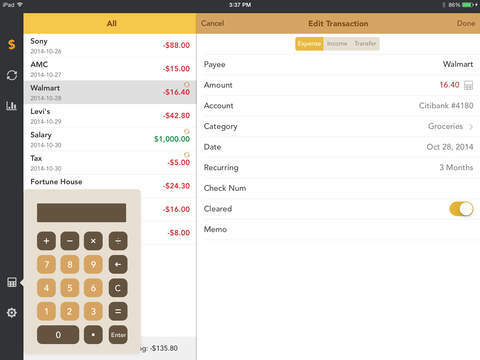 You will be able to replace your paper checkbook and manage your daily finances quickly and easily. Create accounts, transfer funds, save recurring transactions, export data, and view graphs and reports. You can export in HTML, QIF, and CSV and send it by email. The calendar shows all of your monthly transactions as points and you can filter transactions by tapping a date or multiple dates. You can save transactions to be used repeatedly, choose icons to indicate categories, and it’s easy to search for transactions by name, date, category, and payee. 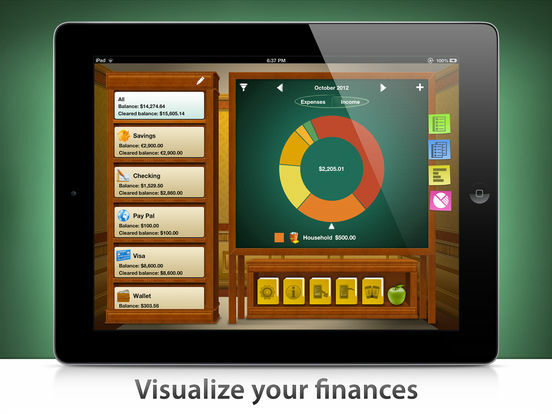 Nearly 2 million people have used this app to gain a deeper understanding of their finances and you should too. 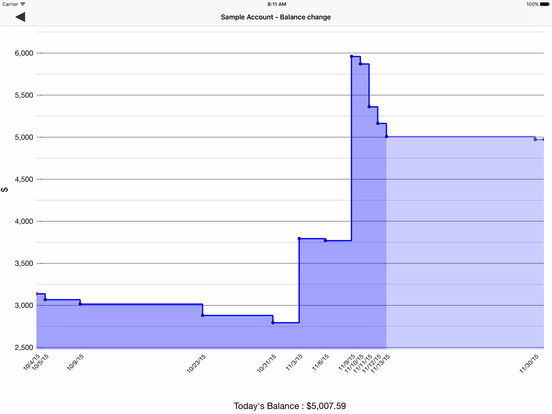 Bankin provides a detailed overview of your finances including graphs and analysis. Additionally, you can monitor all bank accounts in once place, get smart notifications, search through transactions, automatically syncs your bank accounts for updates, track business expenses, manage your budget, categorize transactions and more. 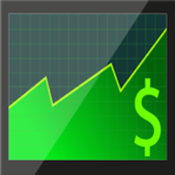 There are in-app purchases to upgrade the app and get all of the premium features. 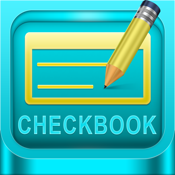 Quick Checkbook allows you to track multiple accounts with just a glance. You will be able to easily see the balance of all of your accounts in one place, mark transactions as cleared or not, reconcile transactions, and move money among accounts. Other features include the ability to add payee info for transactions, set your own currency, send data by email, and add or edit recurring transactions with different cycles. You will see pie reports for categories of expense and income, histogram reports to compare expenses and income, and you get pass code protection. 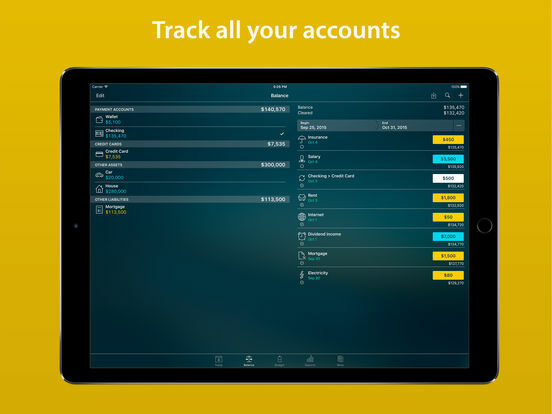 Accounts 2 Checkbook is another app that could let you put your checkbook in a drawer. 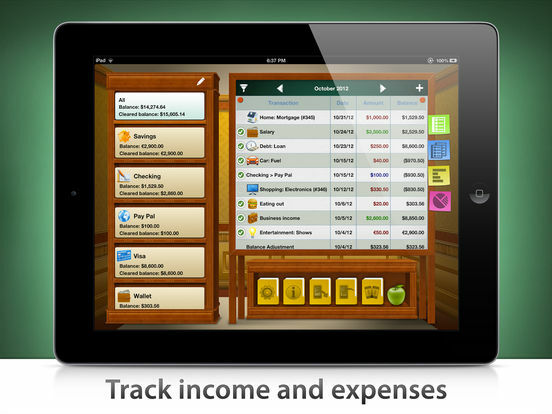 It makes it quick and easy to track your daily finances. Schedule transactions, reconcile, take photo receipts, export data, view reports, print, and more. The interface is intuitive and easy to use and has a simple look and feel. Features include Touch ID support, you can sync using iCloud, print directly from your iPhone to any AirPrint-enabled printer, and schedule transactions to repeat weekly, bi-weekly, monthly, semi-monthly, quarterly, bi-annually, or yearly. You can split transactions among different categories for precise tracking, easily search for transactions, and take advantage of the smart autocomplete function. 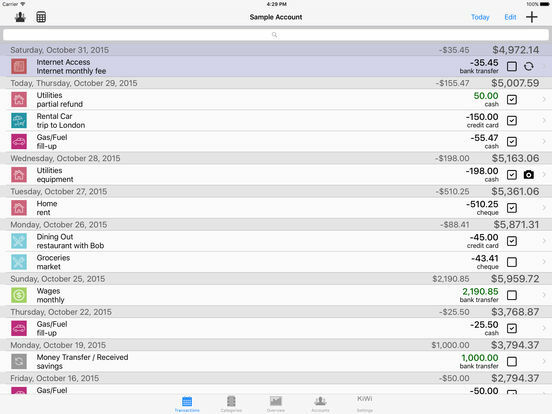 Accounts 2 Checkbook app review: it’s time to throw away your paper checkbook! 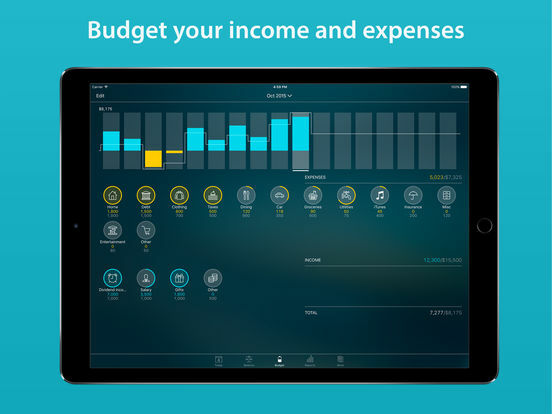 Spendr allows you to use simple gestures to manage your finances. The interface is simple and elegant. The 3D Touch functionality allows for fast expense and income input and you can export to Google Drive, Evernote, AirDrop, iMessages, and email, among others.Choose from the default categories or create your own, use passcode or Touch ID to access the app, and enjoy the swipe user interface. 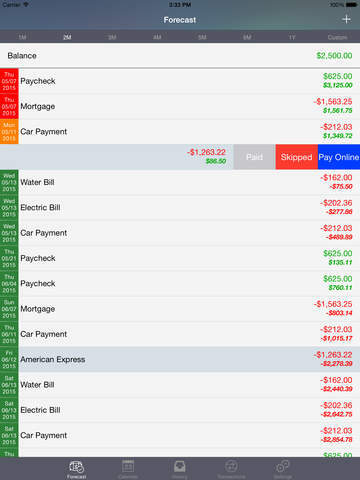 You can choose from week, month, and year for time periods, view a summary list to see every income and expense, and always know how much money you have. 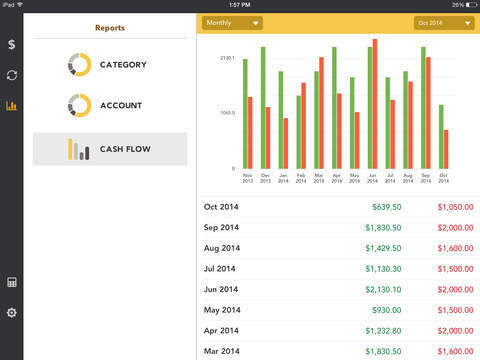 Cash Flow Cast - Personal finance expense tracker helping you manage your bills. 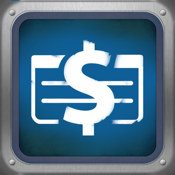 Cash Flow Cast will make it so you never pay another late fee again. 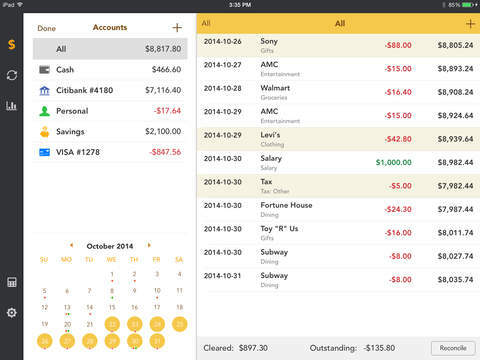 Monitor your bank account balances, forecast spending and saving, track expenses, view bills, and more, all from the same app. 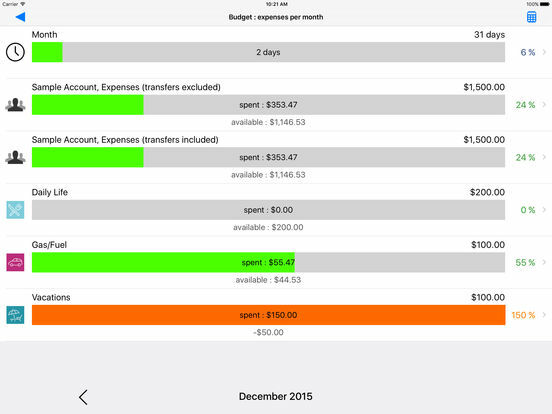 Just add your account balance, income, bills, money transfers, and more, and enjoy the app’s intuitive forecasting. 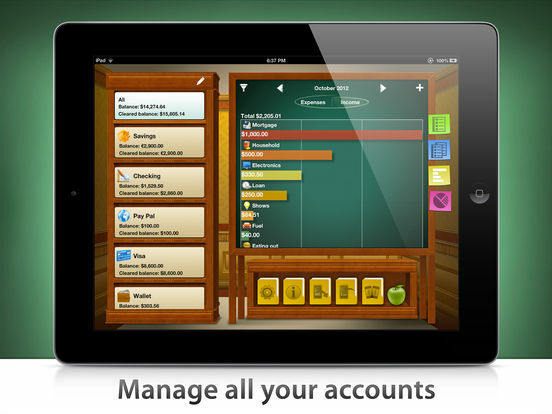 Features include the ability to list bills, add deposits, edit with just a touch, and schedule recurring bills. 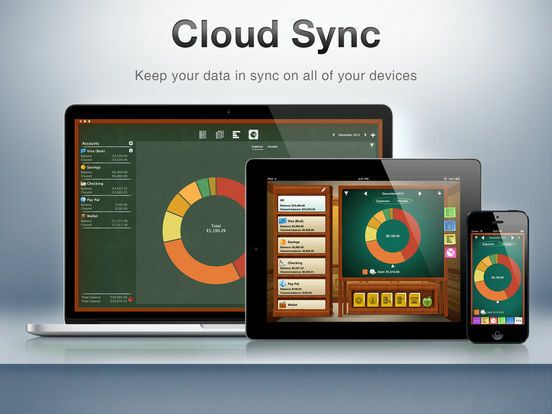 You get automatic iCloud backup, historical activity archive, and a forecast for up to nine years. You can choose to view by date or calendar view, flag bills as important, and mark bills by status. 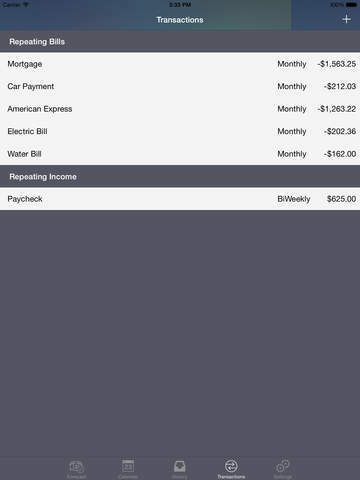 Checkbook HD Free lets you manage all of your accounts so you always know how much is in each account, and how/where you spent the money. You can add entries manually or import bank records through Direct Connect of your bank’s OFX file. You can sync among devices, schedule recurring transactions, schedule delayed transactions, and visualize the activity using colorful charts. You can enter unlimited accounts and use colored sticky notes to mark transactions, recurring transactions, and reports. The free version is limited to the number of transactions you can complete; if you need more, unlock it with the in-app purchase. 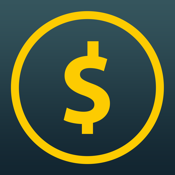 Money Pro allows you to manage your money like a professional. 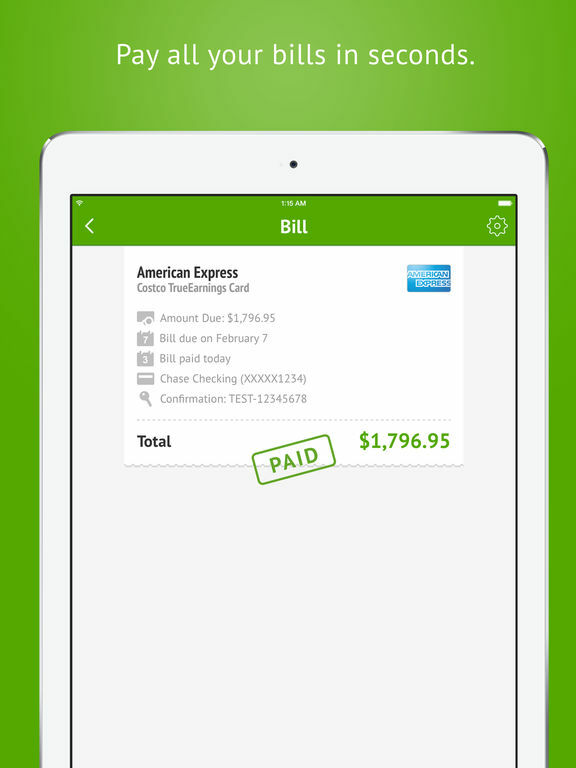 You will be able to use the app to plan bill payments, budget, and keep track of your accounts. 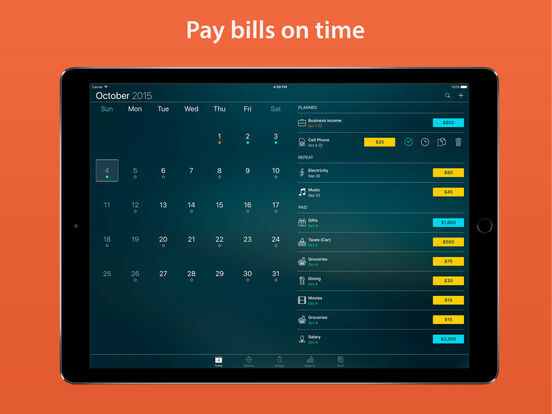 Features include a calendar so you can mark bills as due, schedule recurring bills, and filter transactions using dates; the Today view lets you quickly see what’s due, approve transactions, and see transactions you might have missed that are due for the day. 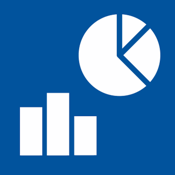 You can create budgeted entries, add every transaction you have, and examine a budget trend chart. There’s also a calculator and currency converter for your use. 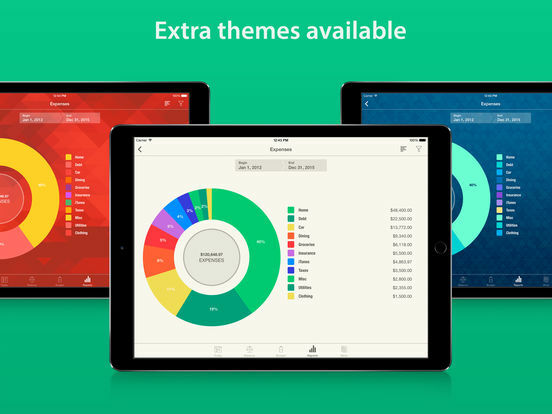 Visual Budget is an app you can use to manage both business and personal accounts with its many tools. 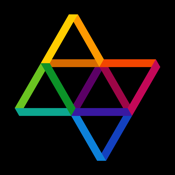 You can handle several accounts at once and sort them into different groups. 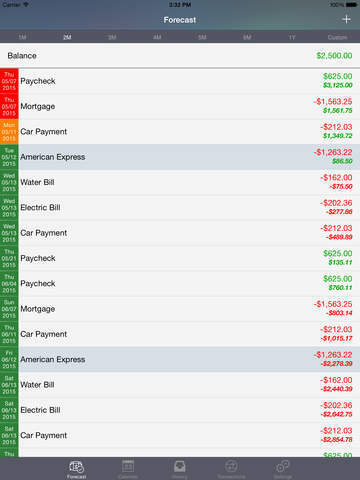 You can assign a budget to every category and monitor how your income and expenses change your balances. 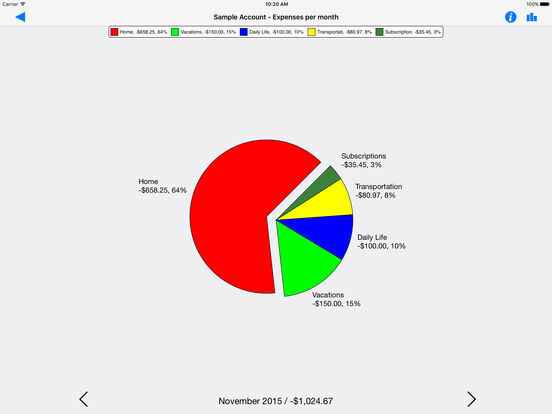 Input financial transactions automatically or manually, check off your transactions to make sure they match your statements, and look at bar or pie charts offered that will give you a clear view of your transactions. 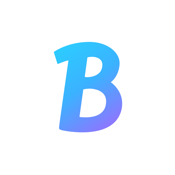 This is a “freemium” version which allows you 10 transactions per account. 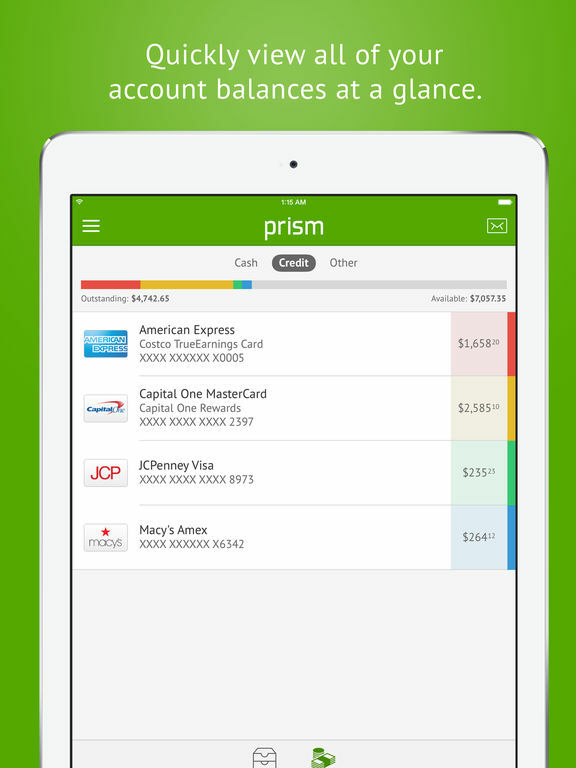 The in-app purchase lets you unlock unlimited transactions.